What’s the biggest fish you ever caught on a fly rod? Join Mark Tobin as he lands Golfito Sailfish in Costa Rica! 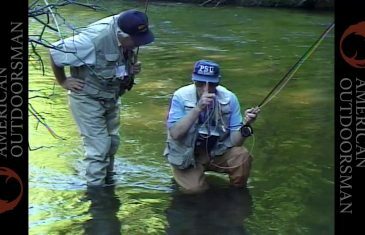 On the border of of Missouri and Arkansas lies the North Fork of the White River and some great fly fishing. The guys succeed in their catch and compare fly fishing lures to the genuine article. This tips-filled episode on getting your equipment ready for the Spring fishing season will be something you will want to come back to again and again. Mark Tobin gets a ton of advice from Russ Rogers of Rogers Lures. 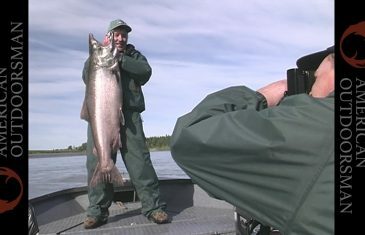 On the Kenai River in Alaska, Mark Tobin experiences the power of the King Salmon. Well known in states like Oklahoma where this was filmed, the Spoonbill are a cousin to sturgeon and are also known as paddlefish, spoonbill cat and shovelnose cat. Spoonbill is a great tasting fish – as long as you clean it right. A 4 lb. crappie!?!? Also, tips on what lures to use for crappie in differing conditions. 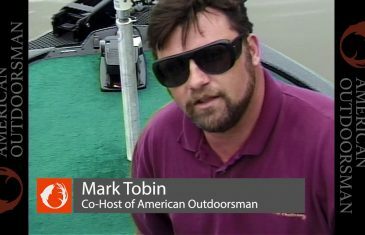 Mark Tobin with a very reasonable and special request. Over-harvesting has taken its toll on fish populations. Therefore, what you take and what you release makes all the difference.